Heya everyone! First of all let me say I am so incredibly sorry for my lack of posts recently. I have been so incredibly busy with family and work and trying to sort out things for my new job so I just haven't had the time to sit down and properly blog. I also haven't really had much to blog about. Nothing in my life has been that interesting, I haven't been lusting over anything and also I haven't really been using any new beauty products. I have actually really missed blogging. 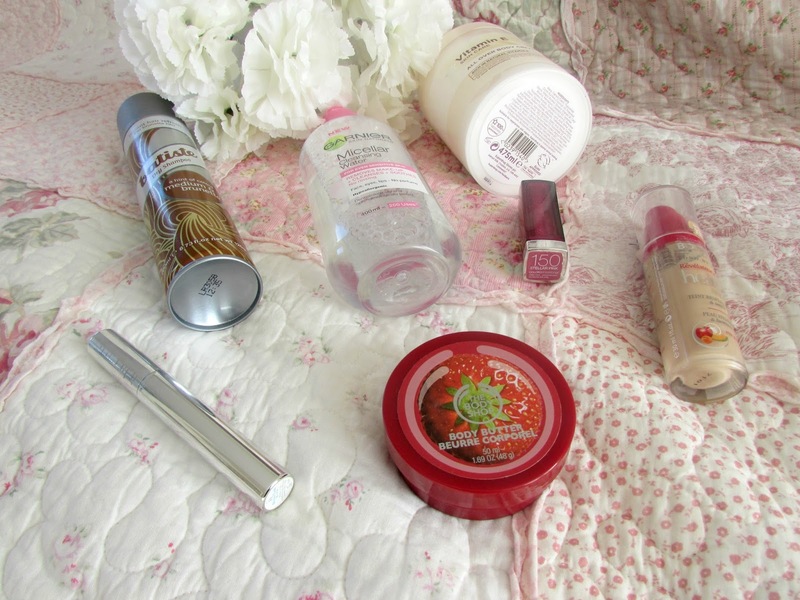 However, I am so pleased that I managed to get a few products together that I actually have really been enjoying this month so I really hope you enjoy this post! 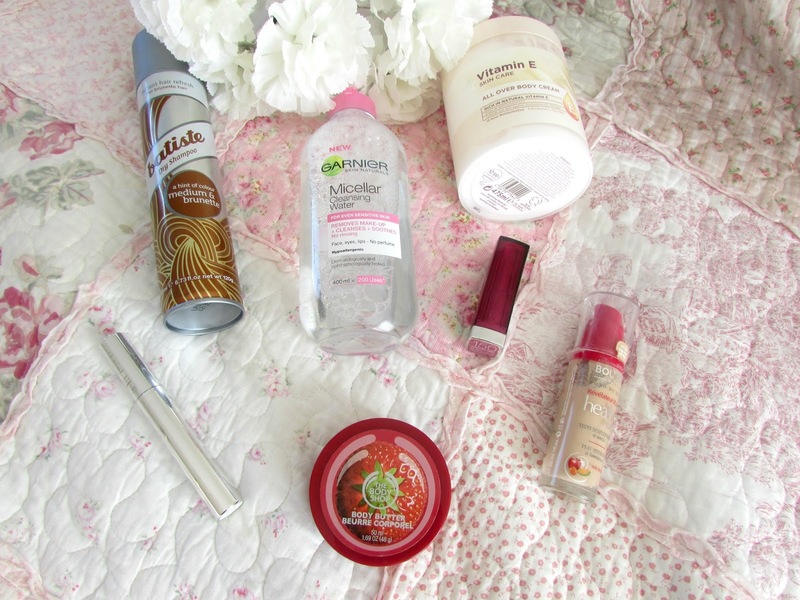 One of my favourite products to use this month was dry shampoo. From the 17th to the 21st February I was doing a lifeguard course. Because I was going into the pool every single day I didn't bother to wash my hair because it was just so much effort. Don't worry I gave it the best treatment of its life at the end of the week. However at the end of each day I used this dry shampoo to stop it from looking greasy and horrible and it really helped. I absolutely love this shampoo because it comes out brown compared to the other ones which come out white and take absolute ages to brush out. It leaves my hair looking and feeling refreshed and smelling really nice too. For only £3.99 it is absolutely amazing and definitely something that I am going to keep on repurchasing. I won't spend too much time on this product as I reviewed it HERE so follow the link if you'd like to check it out. It basically does what it says on the tin. All traces of make up are removed and it leaves my skin feeling so soft and cleansed. It doesn't leave it absolutely squeaky clean which I actually like as it means that it doesn't strip the skin of all all the essential oils. It doesn't have an overpowering fragrance and also doesn't sting the eyes. This is a great bioderma dupe (which I've now actually tried so keep an eye out for a review) and for only £4.99 you can't go wrong. This is just an incredibly simple body cream but works absolute wonders for my skin. My mum actually bought this but has left it in my bathroom so I decided to try it out and I absolutely love it. The tub is absolutely massive for a start at 475ml. It is richly sourced with vitamin E which is one of my favourite skin care ingredients. The consistency is absolutely perfect too. It's not too thick and just melts into the skin extremely quickly. I've noticed such an improvement with my skin when using this as it's left feeling super soft and hydrated. This product can also be used as an every day facial moisturiser. It's an amazing all round product. This whole Vitamin E range from Superdrug is something that I absolutely love. I've used the night and eye creams and I have nothing bad to say about it. This moisturiser is only £2.99 which is an absolute bargain. Bourjois happens to be one of my favourite brands when it comes to foundations, however I was super surprised when I found out I had only used one bottle of this. I've been so used to buying the healthy mix serum that I never went back to this product. When I ran out of my serum earlier this month I decided to go back to this foundation in case I didn't like it and just forgot but no. I love it more than ever. I just love how much it boosts the radiance in my skin and gives it that dewy finish I just absolutely love. This is down to the apricot that is located within the foundation. The fruit therapy formula also contains melon for hydration and apple to help keep you looking youthful. I just absolutely love this foundation. It's £9.99 from Boots and I think it's worth every penny! Now you all know, or at least should know, how much I absolutely love the mango body butter. I've never really tried any other scents from The Body Shop and at Christmas I received a collection of the small butters from my best friend in different scents and fell in love with the strawberry scent! It smells absolutely delicious. These body butters are amazing as I find they help hydrate the skin no matter how dry it is. It sinks into the skin so quickly and just leaves your skin smelling delicious all day. I know the big tubs are £13.00 but I'm not entirely sure how much the small ones are. Either way I think they are again, worth every penny! This is another product that I have reviewed HERE. I absolutely love the purpley pink colour to it and the fact the lipsticks are incredibly creamy and moisturising on application. 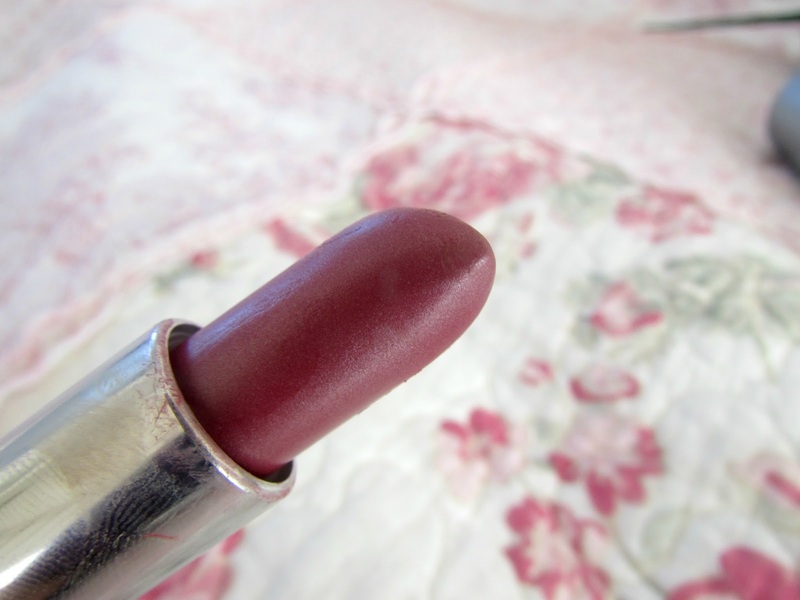 The colour pay off is amazing and the lipstick is pretty long lasting as well. I can go around 5 hours without having to reapply it. If I apply too much of this lipstick it doesn't look too nice on me so what I do is just apply a little bit to the middle of my top and bottom lips and lightly blend it out with my fingers. If you follow the link to my review you'll be able to see a photo of me wearing it. These lipsticks can be purchased from Superdrug for £6.99. Saving the most expensive product till last. Again I have reviewed this product HERE. This is the only product I own from this brand as I had never previously heard about them but I just absolutely love this mascara. It really adds length and volume to the eyelashes. 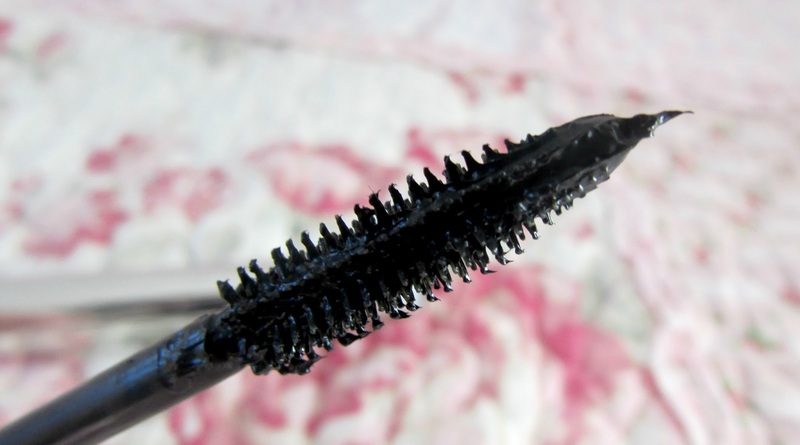 It holds an extremely good curl which I find to be a bit unusual for a non waterproof mascara. The slim tapered and flexible brush allows all the lashes, even the tiniest to be coated in mascara. This mascara is extremely long lasting, doesn't smudge and doesn't melt in even extremely warm conditions. Definitely my favourite mascara at the moment. This can be purchased on the A La Carte London website for £23.00 which I do this is pretty pricey but for how good this mascara is I reckon it's 100% worth it. Have you used any of these products this month? What products have you been loving throughout February?